After years of anticipation amidst a multitude of changes to the platform it was built on, Remedy’s latest epic has arrived on Xbox One and Windows 10 PCs. 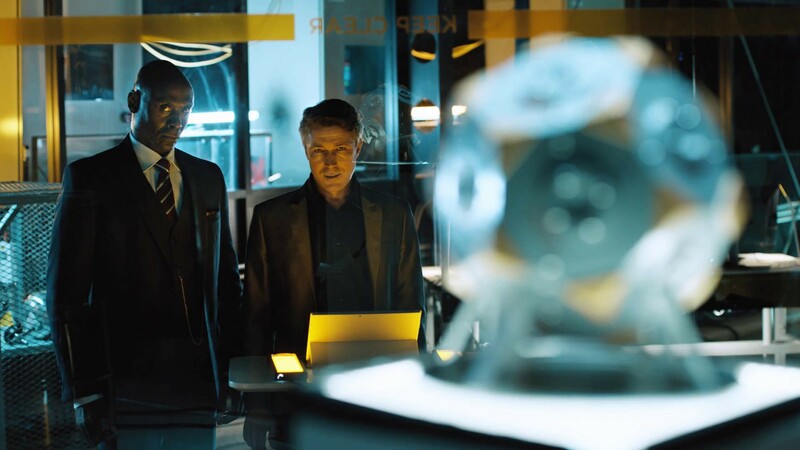 Quantum Break is a story driven game that emphasizes the “story” aspects via its intriguing method of blending the game with a series of live action episodes that are impacted by both the actions you take and choices you make. The game places you in the shoes of Jack Joyce, modelled on and voiced by X-men actor Shawn Ashmore, who is visiting his friend Paul Serene (Aidan Gillen) in relation to Jack’s genius brother Will (Dominic Monaghan). Seems Will is causing some trouble and it all has to do with his latest invention: a time machine. During a demonstration there is an accident when the machine is activated and the fabric of space/time begins to fracture. Both affected by the accident, Jack and Paul take their own sides in trying to fix the damage and save the world. Creating a space/time bubble couldn’t be dangerous, right? Quickly the situation worsens for Jack and he is on the run from Paul’s Monarch Corporation whilst trying to deal with the side effects of his own exposure to the accident. Soon though he is assisted by Beth Wilder (Courtney Hope) whose assistance helps guide Jack and the player though the story via her inside knowledge of the dangers ahead. And as expected with stories about time travel, things tend to fold in on themselves with plenty of surprises and revelations. The game’s controls are typical to those used in third person shooters with movement via the thumbsticks and triggers for the firing of weapons while powers map to the bumpers and face buttons. The cover system used during fights is automatic; as you approach a wall or barrier, Jack will hide behind it appropriately. Though it sounds good in practice, some of its effectiveness is lost due to a lack of direct control and the character always having to pop out from the cover to fire and making himself an easy target. Fights usually consist of Joyce taking on multiple enemies at once which requires use of his newly acquired time powers. They each have limited use and refresh over time which pushes players to mix up their tactics and not try to lean on a single ability for success. Clearing out a room full of bad guys can boil down to 1) seeing those that you can dispatch quickly and 2) moving quickly to position yourself for the kill shot. Those same powers can also be used to solve some simple puzzles but there is rarely anything presented that will tax players… it’s all about letting them push the story forward at a good pace. Structurally the game is very similar to Alan Wake with levels being broken down into distinct chapters (five in total). Each of those can easily be played in a single sitting as they last not much more than 60-90 minutes on the normal difficulty. Where it takes a leaf from Alan Wake’s American Nightmare (a great little self contained game) is in its more extensive use of live action video. Martin Hatch (Lance Reddick) and Paul Serene (Aidan Gillen) in discussion during one of the live action episodes. At the completion of a chapter, the game briefly switches to controlling Paul Serene where a dilemma is presented to the player that requires a choice between two actions. Each has their own pros and cons from Paul’s perspective and the choice that is made will adjust aspects of the live action episode that follows and also the next chapter of the game. Not only does it give players an opportunity to guide the story but it provides a glimpse into Serene’s character and also fits nicely within the game’s design and theme. With regards to those live action videos; they are almost totally from the perspective of the Monarch team members, initially from tough guy Liam Burke (Patrick Huesinger) as he deals with his situation getting out of control. However most of the best moments come from Serene’s right hand man Martin Hatch (Lance Reddick) who is an intimidating presence and IT ninja Charlie (Marshall Allman) and his attempts to win over coworker Fiona (Mimi Michaels). With so many of Joyce’s opponents in the game being of the faceless variety, this is a unique attempt at adding some dimension to them as a whole. It should be noted that by default these videos are streamed on both the Xbox One and Windows 10 versions so if your connectivity isn’t great there may be problems encountered during these segments. 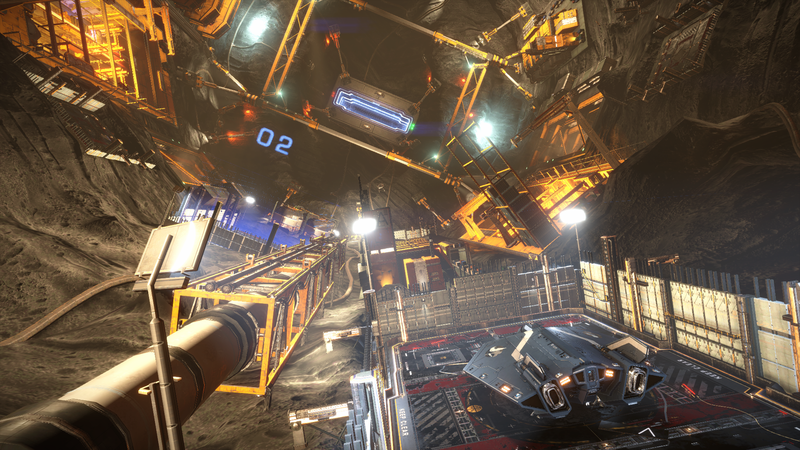 However the console version does offer an option to download the videos so that the game can be played offline but it does come at a significant storage cost. Upgrading your skills can help make your journey little more comfortable. As you accrue powers you also get the ability to upgrade them via chronon sources hidden away in areas throughout the game’s chapters. Upgrading an ability can provide an additional use during a fight (before recharging) or increase the duration of its effects. They don’t seem essential to your success in the game but the boost they can provide to the powers you use often can be handy in tight situations. Visually, the game is impressive with some incredibly detailed character models coupled with time effects which fill the screen with plenty of memorable scenes. Sometimes things are so hectic you’d think the artists may have got trigger happy with the PhotoShop filters but the Xbox One seems to handle it well enough. The bridge sequence is an incredible demonstration of what the game’s engine is capable of with debris scattered everywhere. 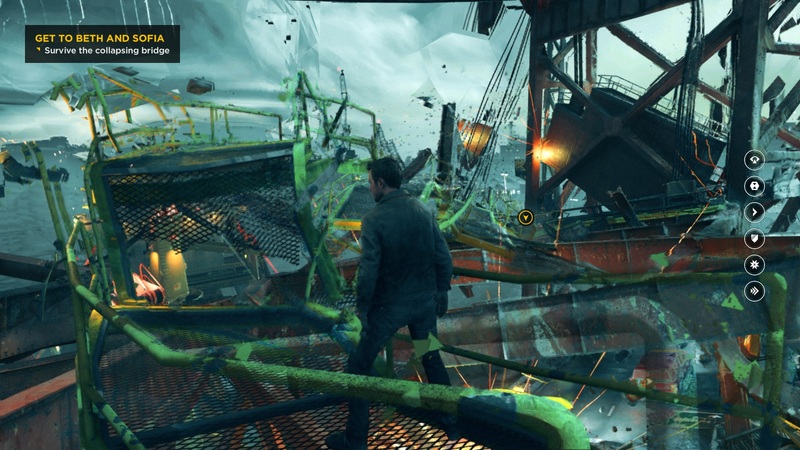 That part of the game may be familiar to anyone who has watched previews of the game during its development but despite that, Remedy still found a way to make it look even better. There are some occasions though when the illusion breaks down and it’s mainly with the character models. Though they are mostly spot on with great detail and facial animation, the lighting can sometimes be inconsistent, making the eyes looking a bit unnatural in darkened areas or shadows. The modelling of Paul Serene’s face seems a bit odd at first too. But when the game gets it right, the transitioning of in game cutscenes to player control can be really impressive to see thanks to that same detail. The bridge sequence looks great in a still but is even more amazing in action. Once the game is over, there is at least some incentive to play through a second time to experience the alternative choices and see how the game and story adjusts itself. In addition there are collectibles to find throughout the game that are both informative and humorous. Some of those can even influence what you see in the live action episodes which is a neat way to reward players who want to find every little item in the game. 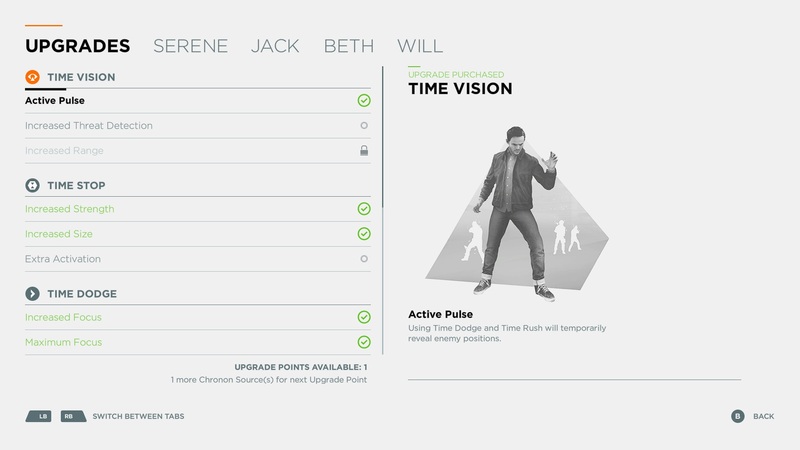 It’s likely you’ll get most of the collectibles in the first run but going through that second time will not only let you get the rest but also complete the remaining achievements too. So… does this melding of game and television really work? I think it does; there’s no way a live action component to a game can cater for a multitude of variations but a few tweaks to a story based on choices can add some variety to player experiences. I know I had to play through each chapter in one sitting AND watch the subsequent episode to see if I noticed anything related to what I found in the game. Its use may have been used subtle but I liked being able to pick them up when watching. The game itself is by no means perfect. 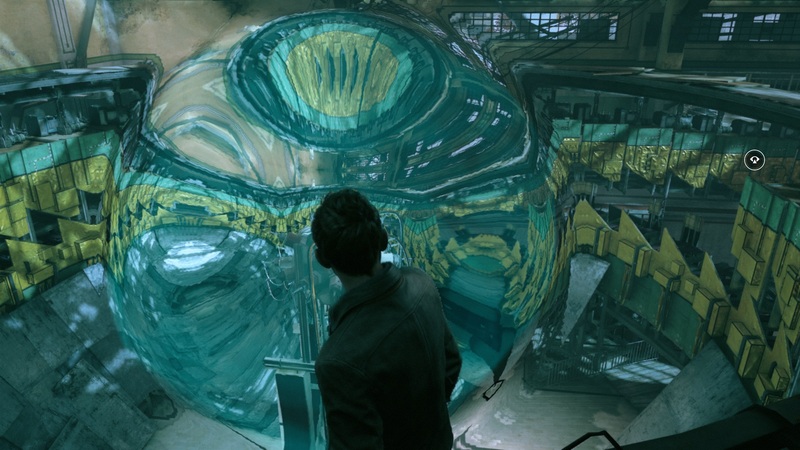 It often feels quite linear as it guides the player through the story which can seem like a step back from what was already a very controlled experience in Remedy’s previous games. However in its defence the production values are such a substantial leap over Alan Wake that even that criticism might come across as being petty. And much like that game, things end in way that gives them scope to develop more stories in the world that’s been created and that’s an exciting prospect. Quantum Break is out now on Xbox One and Windows 10 PCs. Review is of the Xbox One digital version. Well I’ve finally started playing this again. Finally finished defeating the last boss on my list for Dark Souls 3 first play through :). So after multiple breaks with this game I’ve finally finished it. I think overall it was over hyped. The story was good, graphics great but I felt the gameplay mechanics let it down a bit. It got a bit repetitive towards the end too and the collectibles were pretty boring to collect, although some did add some extra back story. Overall a good effort by Remedy but Alan Wake is their best game in my opinion so far.